We are fortunate to have one of the best beaches for surfing in the area. 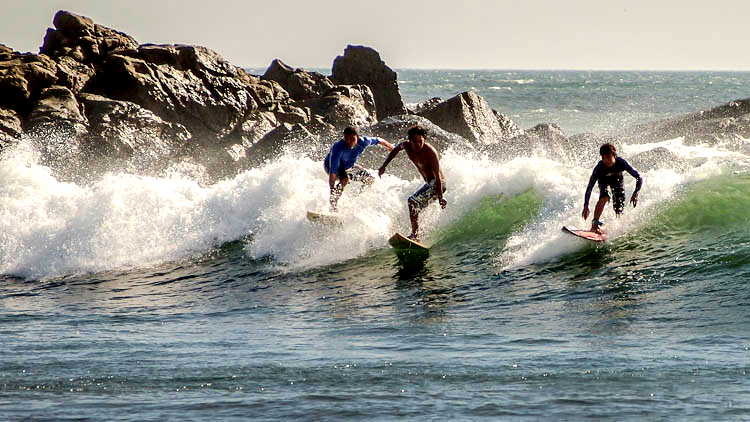 Our top resident surfers run the surf schools and surf shacks. There is a surf shop across the road with board rentals, pro lessons, equipment, and the rentals are reasonably priced. The left and right surf breaks are not crowded and there are waves for every level of surfer.